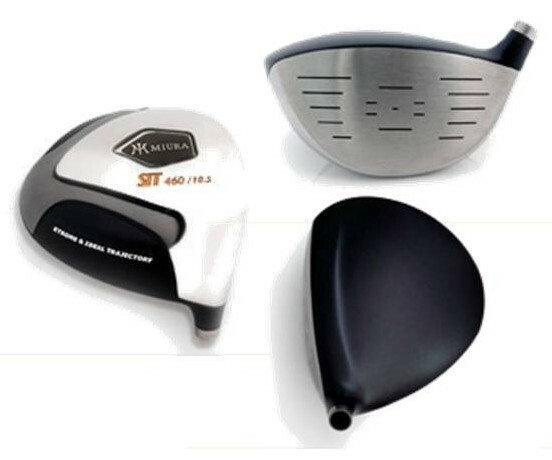 Miura Golf’s new titanium clubhead SIT-460 is the company’s first 460cc driver but at address the appearance is that of a smaller head, the result of patient and carefulshaping by Shinei Miura, son of company founder andlegendary club maker Katsuhiro Miura. “Our dealers told us their customers have beenlooking for the forgiveness and distance a bigger head can provide,” saidAdam Barr, president of Miura. “With the help of his father and his brother Yoshitaka, Shinei took that as a challenge and set to work on something that would offer big-driver satisfaction while stillgiving a confident, classiclook at address. What he came up with has surprised alot of people who put it behind the balland think it’s much smaller than 460. One of the ways this was accomplished was to make the face of the driver taller thereby increasing overallvolume and increasing the effective hitting area. Thelarge face also is confidence building since itlookslike you can hardly miss hit the ball. For more stability than three and four piece constructed head the SIT-460 clubhead is cast in two pieces, the body and the face then the face islaser-welded onto the body. Suggested retailprice is $595 but some shaft selections may change the price.